I had a busy afternoon joining some of the blocks. In my original plan there was hand sewing involved. One of my quilting buddies or should I say one of the BLOCKHEADS (as we affectionately call ourselves) was over working on her quilt and happened to mention the word machine basting...she was probably tired of listening to me whine about the hand sewing.....and that got me thinking, as a result the blocks are now, totally joined by machine. 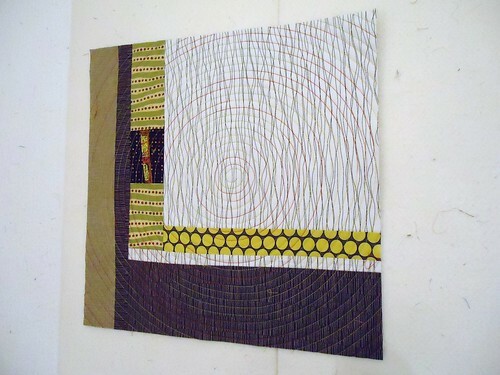 I like to drape the quilt to get another view. The design wall only gives you part of the picture. I love love that I can do all this by machine....it's faster and probably stronger in the long run. All ready to pin and sew....by machine...yes!!!! What Have I Done All Year? I decided, since the year is coming to a close, I should take inventory of the quilts I actually finished this year....I'm a little embarrassed...this is it. It is so sparse, that I am actually including the backs as well. Maybe I should take pictures of everything I started this year (and didn't finish I might add)....or maybe not. It is a thought though, I am quite the starter. Enough apologizing...I am a multiple project type girl...it's the way my brain works. It would be interesting to take pictures of all the projects on the go...I might just do that (a little scary, okay a lot scary). Oh, by the way, in my defense, I did do a substantial amount of sewing for my two darling granddaughters' nurseries.....those bumper pads will get you every time. Does anyone else have this multiple project syndrome?? Did I mention I have multiple knitting projects as well? Here is the final layout..... I have decided to join the blocks with 2 inch (finished size) joining strips. I'm choosing the colour for each block individually, as I go. Detail of the joining strips...I'll be inserting 2 inch wide strips of batting before I do the hand sewing. Here are four rows joined and ready for the hand stitching. The last time I saw Margaret was Boxing Day 2009. I think we both knew it would be the last time she would wander through my sewing space. 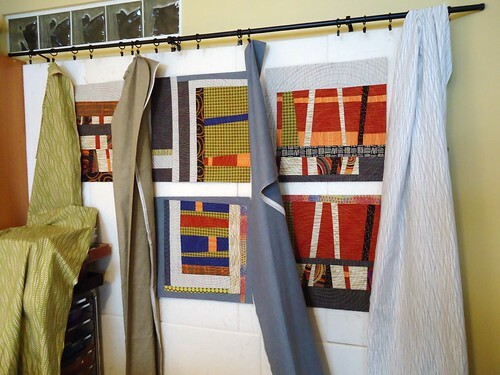 She told me many times, that my studio (she loved all that organized fabric) and quilting inspired her, but it was and still is her life, that is the inspiration, not only to myself but to many others as well. Margaret lived her life well, always positive and uplifting. I think it would make her smile, knowing that her best loved Pfaff machine and many of her beautiful threads, ended up, in a sewing space she loved. 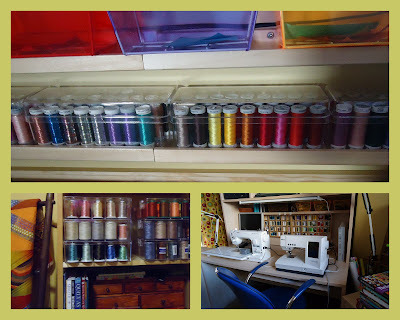 I think of her often, as a I sit by that machine and marvel at the colourful beauty of the threads she collected over the years. Margaret, you sewed much beauty into many lives. Circle Quilt 2009, originally uploaded by MariQuilts. I woke up to the most incredible sunrise this morning. I ran to get my camera so I could photograph this quilt with the sunrise as the backdrop, but the battery was dead. Since I had taken the quilt off the wall I thought I may as well take another few shots of it once the battery was recharged. Later I realized I was so busy racing around I didn't get to enjoy the sunrise, that was my loss. So I had a minor fabric relapse...I just went out for a short visit to the chiropractor. Is it my fault that the fabric store is just a block away? I should have gone to see him, after I went shopping, that fabric weighs a lot....I'm not complaining mind you. In the days when all four of my kids were home (including two very tall, lanky, always hungry males) we used shop in bulk. My husband would always say "When you buy in bulk they eat in bulk" . I guess I'll be sewing in bulk. Note the ratio of fabric to Christmas presents in the car, maybe I should be getting ready for Christmas...whoops my husband has already done most of that....I know, I know I'm married to a saint. They were a deal though....what more can I say. Aren't they lovely?? Block 12, originally uploaded by MariQuilts. 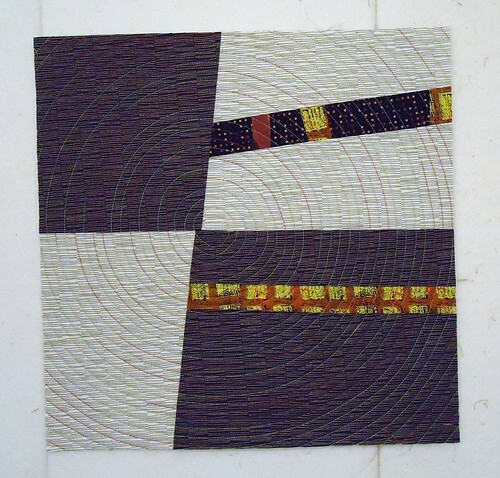 Block 11, originally uploaded by MariQuilts. As the year draws to a close we like to look back at all that life has brought our way. For me the biggest blessing was the births of my two beautiful granddaughters, born two and a half weeks apart. Paige and Elliotte you light up our lives. 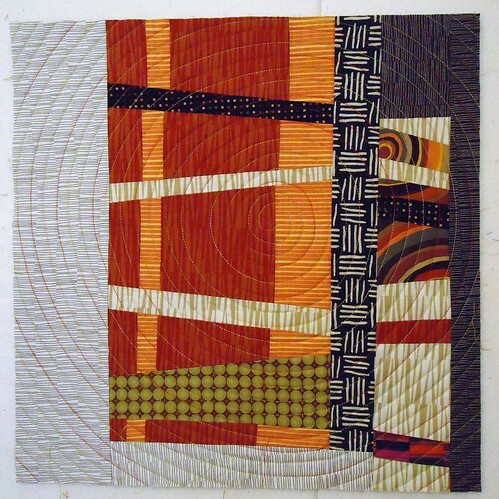 Blocks 1-9, originally uploaded by MariQuilts. I'm going to have fun playing with these blocks, If I ever manage to pull myself away from the computer room. Time just gets away from me once I start checking out every one's amazing stuff. 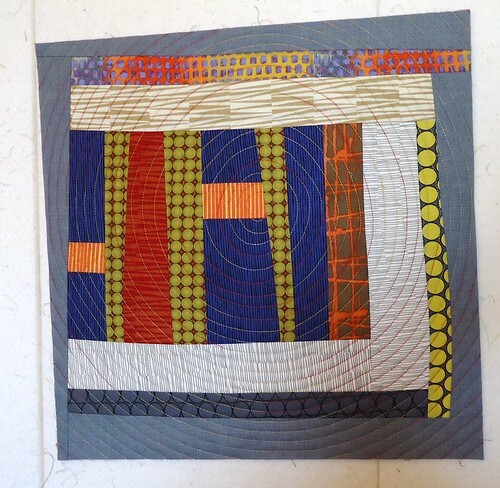 Block Backs, originally uploaded by MariQuilts. 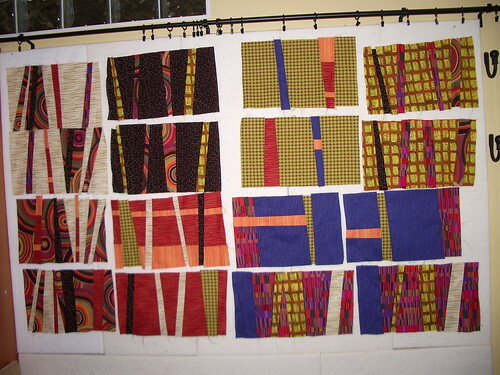 I don't agonize to much over the backs but, I like the colours to work with the front of the quilt. 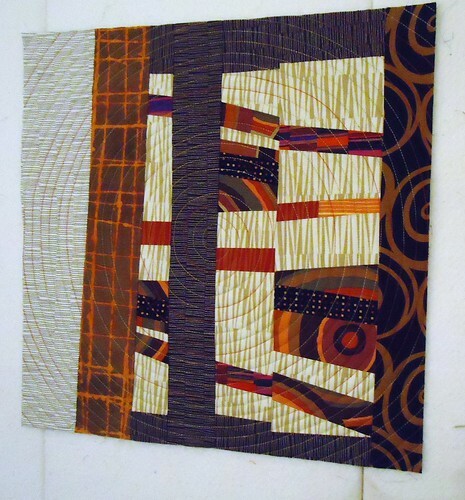 Block 8, originally uploaded by MariQuilts. It's been snowing like crazy this week, so needless to say I was sewing like crazy. Block 7, originally uploaded by MariQuilts. 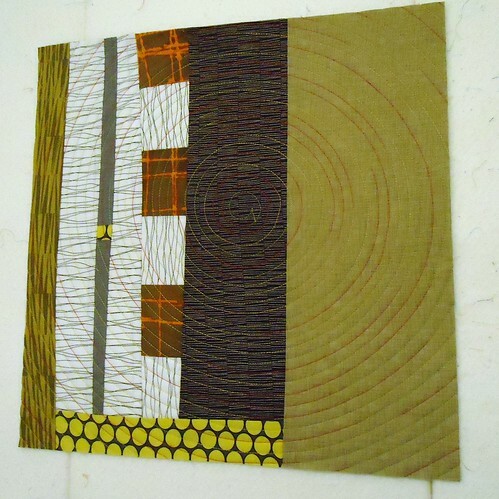 Block 4, originally uploaded by MariQuilts. 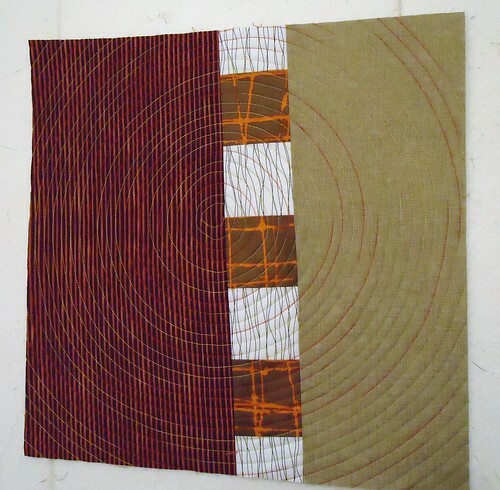 Block 3, originally uploaded by MariQuilts. 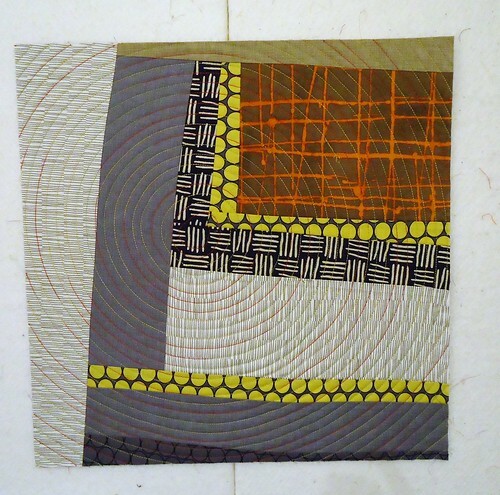 Block 2, originally uploaded by MariQuilts. Just ten more to go. 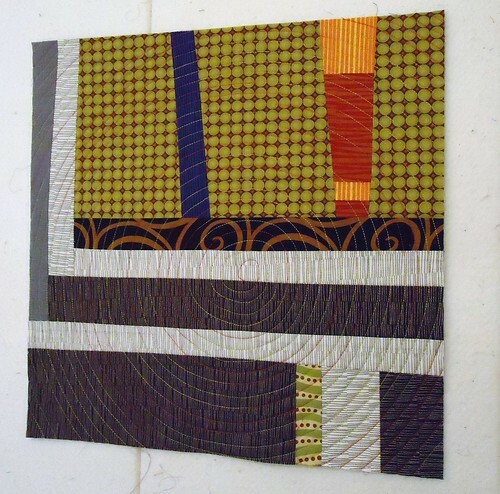 Block 1, originally uploaded by MariQuilts. I made the first block last Saturday and have been sewing furiously all week (I think I am in denial that Christmas is almost here...anything to avoid getting ready for it). 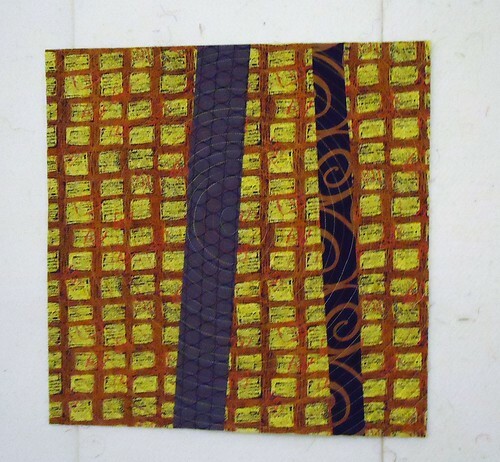 I decided to quilt spirals with the quilting lines closer together than I usually do. 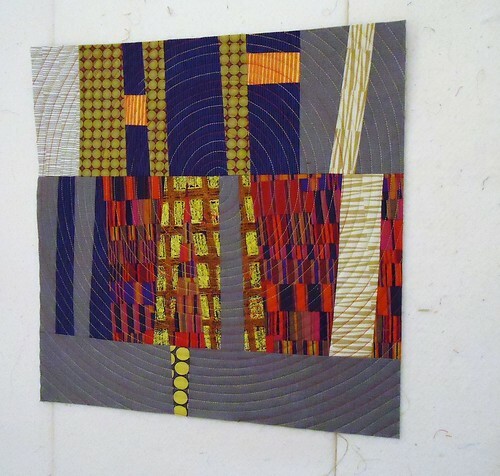 I am wanting lots of texture in this quilt. 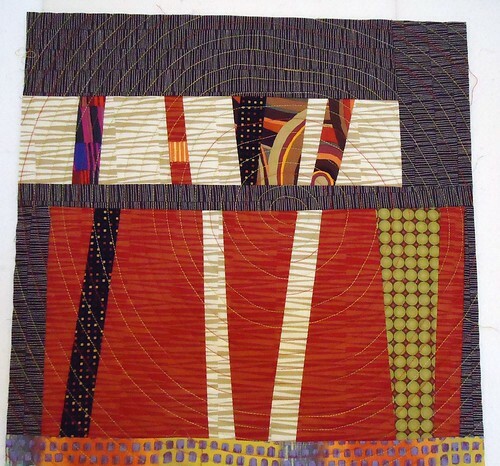 Improvised blocks 2010, originally uploaded by MariQuilts. Last winter my husband and I attended a concert in a small historical church near our home in Victoria. 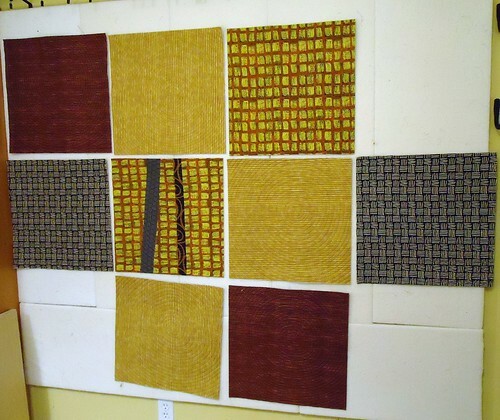 I was so moved by the beautiful guitar music that all I wanted to do was dive into my fabric and start creating. A few days later this is what I had to show for It. 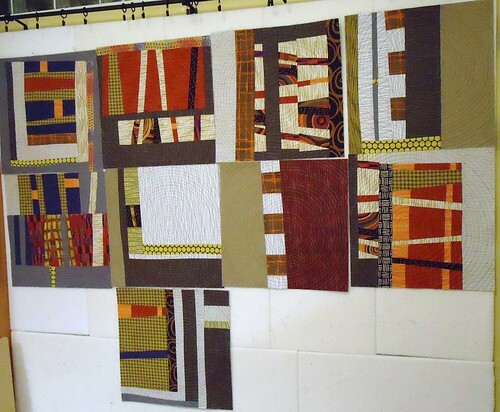 Over a year later I decided to put these blocks into a quilt. That's the question that's been running through my head for weeks... what set this off ? Why am I suddenly spending more time in front of my computer than in front of my sewing machine? Well...it started innocently enough. In one word FLICKR!!!! 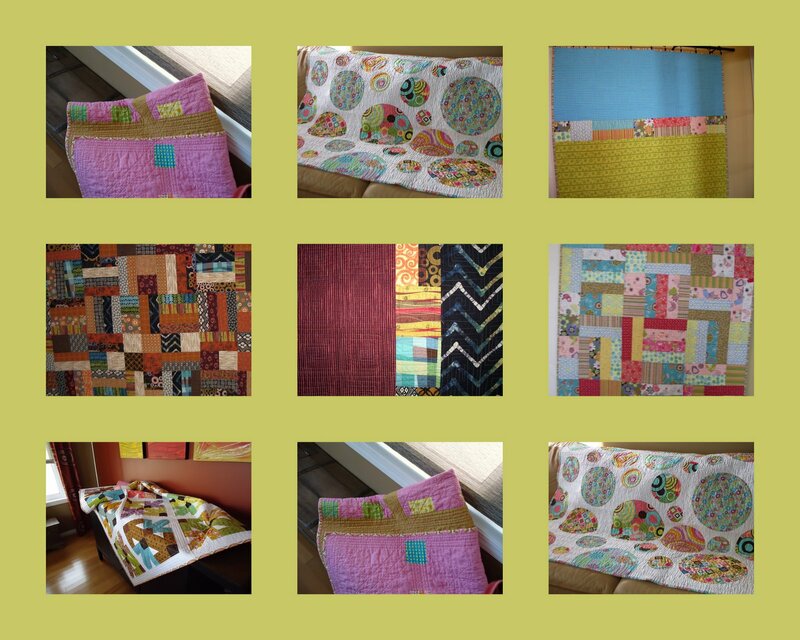 I created a photo stream in order to join one or two online quilting groups....36 groups later...need I say more?? 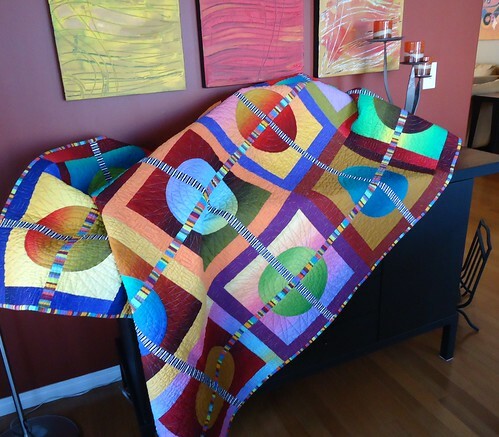 I had no idea, there is a whole subculture of online quilters out there!! I'm so hooked, do you think it has anything to do with my addictive personality type? You know..the fabric addiction, the yarn, the books, the magazines and on and on. I know I'm not alone here! I have read the comments on my fabric stash. Amidst all of this I have discovered something wonderful...I love the interaction of so many quilters. Seeing your work, admiring your work and sharing mine with you. Your comments are so positive and encouraging (funny too..I love funny) that maybe just maybe I need to blog. Now, how do you create a blog?